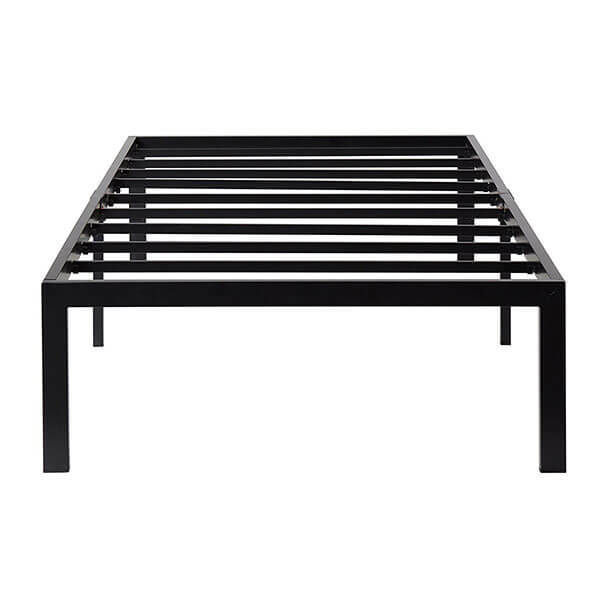 Simple and basic, the Olee Sleep Heavy Duty Steel Bed Frame is a durable frame that is made through and through with sturdy steel. When you need to move it from room to room or house to house, there are foldable steel parts that make transporting it simple. Get rid of your clunky bed frame and box spring and opt for the all-in-one power of the Zinus SmartBase Steel Platform Bed Frame. It assembles in minutes with no tools required and offers up to 13 inches of space beneath the bed to afford you storage space. 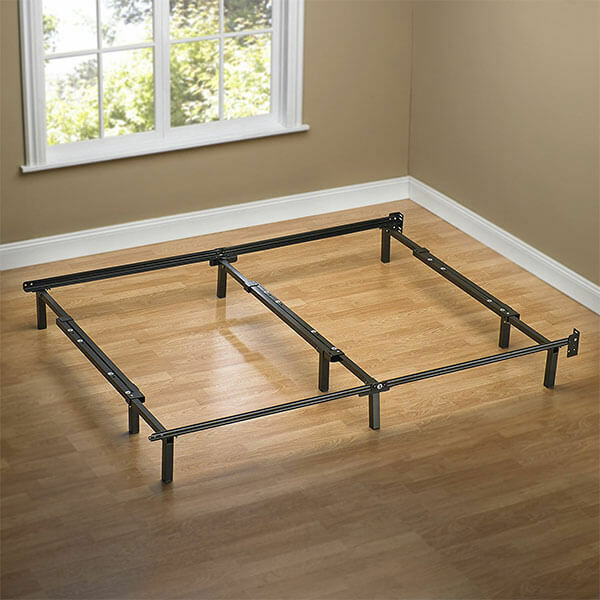 Get a bed frame that grows as your spatial needs do with this Zinus Compack Adjustable Steel Bed Frame. 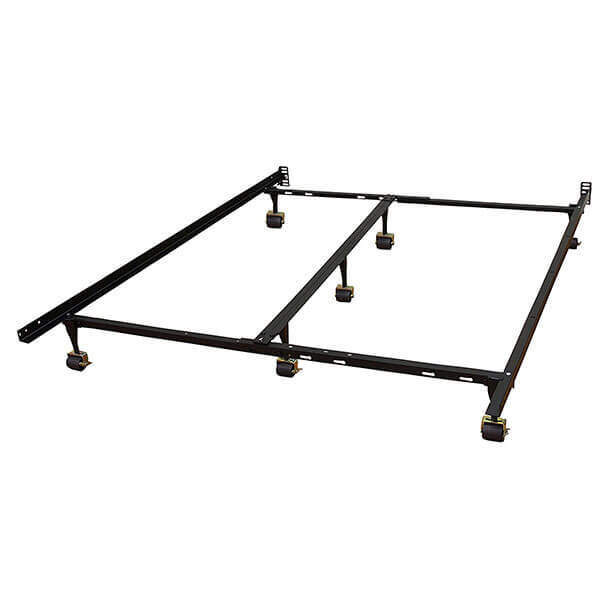 This bed frame offers plenty of support and stability thanks to its nine legs and its central support bar. It has recessed legs that add to its safety. 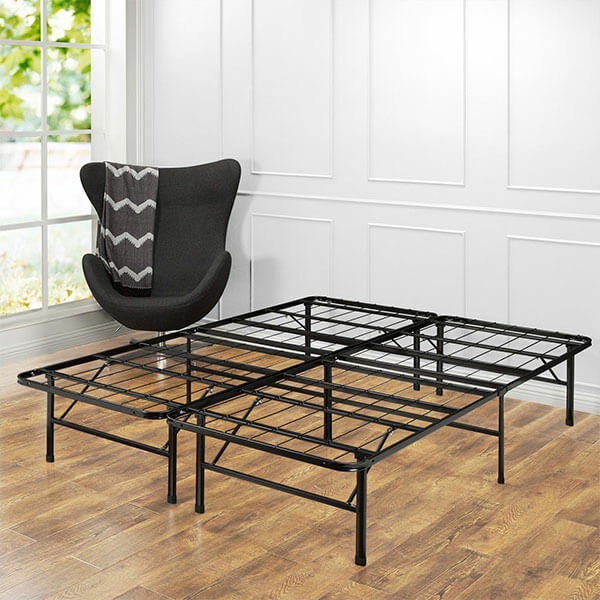 Get the Zinus Compack Adjustable Steel Bed Frame, now in Twin-to-Queen size! It’s just as sturdy and well constructed as the Full-to-King version above, but slightly smaller to accommodate smaller mattresses. 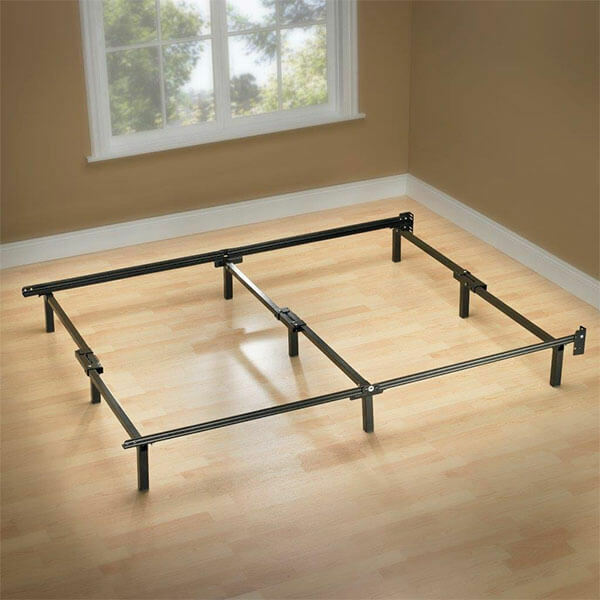 Easy to pop up and put into place, the Zinus 14 Inch Steel Bed Frame is an ultra durable, simple steel bed frame that features nine points of contact against the floor for total support. This bed frame measures 14 inches in height and offers 12.5 inches of space beneath the frame. The interlocking frame is easy to assemble in minutes; no tools required. 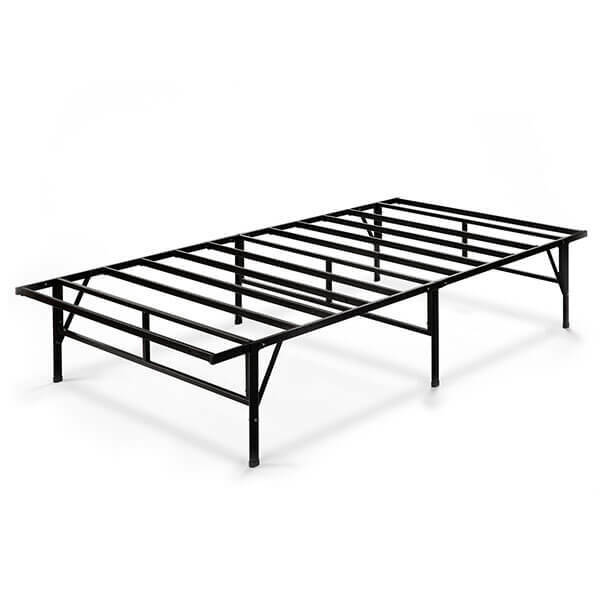 Simple to erect and easy to adjust, the Classic Brands Hercules Universal Heavy-Duty Steel Bed Frame can turn from a twin bed to a California king bed in no time at all. The frame is made up of black matte powder-coated steel and has seven legs, each with wheels.